Palm oil is a common ingredient in soap. Here’s a list of palm oil free soap and how to find soap without palm oil derivatives. Palm oil is hidden in hundreds of names. We are thrilled to have found these natural soaps without palm oil and unnecessary chemicals. Ingredients are Sodium Olivate (Saponified Olive Oil), Water, Sodium Chloride (Sea Salt). Their label says it’s free from parabens, phthalates, fragrance, and added color. This is our favorite soap. We use it almost exclusively since we have sought out palm oil free soaps. We bring it with us when we travel. Ingredients: Saponified Oils of Lard and Castor with Baking Soda. This was the first bar soap we found that didn’t contain palm oil. It lasts a long time. We use this bar soap in our home and like it doesn’t have a fragrance. See below for review. What is unique about Ethique is they make all of their products without palm oil. In addition, they use sustainable ingredients and minimal packaging, including no plastics. They offer bar soap, shampoo, conditioner, lotion and more. Bliss Bar is for normal to dry skin: It’s made with coconut, vegetable glycerine, (the glycerine is from sustainably managed coconuts — not palm oil!) and clay. It’s fragrance-free. In Your Face is a face and body bar. It’s made with coconut oil, mandarin and sweet orange essential oils, cocoa butter and sea salt. SuperStar! is a face cleanser and makeup remover. Ingredients include cocoa butter, kokum butter, coconut oil, cleansing castor oil, and sweet orange essential oil. Gingersnap is soap scrub for all skin types. It includes vanilla, cinnamon as well as ginger. Body Sampler – I didn’t know which to choose so I bought Ethique Body Sampler and love it so far. Each has been lasting a long time. I love them all! Also, Ethique explains each ingredient and what it’s derived from. Because of this, you will not wonder if the ingredient is derived from palm oil. You may see similar ingredients in other products; however, they are most likely made from palm oil. Ethique’s are palm oil free. Ingredients: Sodium Olivate (Saponified Olive Oil), Aqua, Lavandula Angustifolia (Lavender) Oil, Sodium Chloride (Sea Salt), Parfum. Contains: Sodium Olivate (Saponified Olive Oil), Aqua, Aloe Barbadensis Leaf Juice, Sodium Chloride (Sea Salt), Parfum. 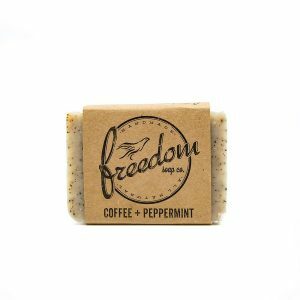 Free from parabens and other synthetic preservatives, Freedom Soap Co. handcrafts their soaps in small batches. Additionally, they use natural ingredients using the cold-process method of soap-making. They are committed to the environment using only sustainable ingredients. All of their soaps and products are palm oil free. Activated Charcoal: Saponified Oils of Coconut, Olive, Shea Butter, Sunflower Seed, Castor, Apricot Kernel, Activated Charcoal, Cedarwood Essential Oil, and Pine Essential Oil. Coffee + Peppermint: Saponified Oils of Coconut, Olive, Shea Butter, Sunflower Seed, Castor, Apricot Kernel, Coffee, Peppermint Essential Oil. Lavender: Saponified Oils of Coconut, Olive, Shea Butter, Sunflower Seed, Castor, Apricot Kernel, Lavender Essential Oil, and Lavender Buds. Lemon + Grapefruit: Ingredients: Saponified Oils of Coconut, Olive, Shea Butter, Sunflower Seed, Castor, Apricot Kernel, Lemon Essential Oil, and Grapefruit Essential Oil. Oatmeal: Ingredients are Saponified Oils of Coconut, Extra Virgin Olive, Shea Butter, Sunflower Seed, Castor, Apricot Kernel, Organic Oatmeal, Lavender Essential Oil, plus Sweet Orange Essential Oil. Pine + Eucalyptus: Ingredients: Saponified Oils of Coconut, Olive, Shea Butter, Sunflower Seed, Castor, Apricot Kernel, Bentonite Clay, Activated Charcoal, Pine Essential Oil, and Eucalyptus Essential Oil. Plain Jane: Ingredients are Saponified Oils of Coconut, Olive, Shea Butter, Sunflower Seed, Castor, and Apricot Kernel. 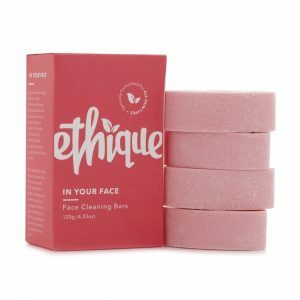 Rose Clay: Contains Saponified Oils of Coconut, Olive, Shea Butter, Sunflower Seed, Castor, Apricot Kernel, and Rose Clay. Tea Tree: Contains Saponified Oils of Coconut, Olive, Shea Butter, Sunflower Seed, Castor, Apricot Kernel, Tea Tree Essential Oil, Activated Charcoal, Cedarwood Essential Oil, plus Pine Essential Oil. Sweet Orange + Patchouli: Ingredients are Saponified Oils of Coconut, Olive, Shea Butter, Sunflower Seed, Castor, Apricot Kernel, Sweet Orange Essential Oil, and Patchouli Essential Oil. Their website notes that neither the spring water nor the sodium hydroxide remains after saponifying oils. They air-dry their soap for over 2 months before cutting it by hand. They handcraft their soap from scratch. 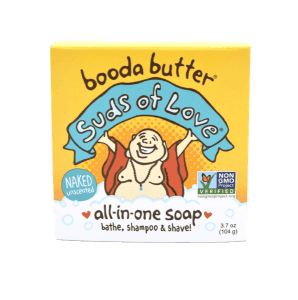 Booda Organics makes their soap and all of their products without any palm oil or palm oil derivatives. Ingredients: Organic & Unrefined Olive Oil, Organic & Unrefined Coconut Oil, Organic & Unrefined Fair Trade Shea Butter, Artesian Spring Water, Sodium Hydroxide. Here is another soap company who highlights the fact they are palm oil free. Ingredients: Whole Goat’s Milk, Organic Cold Pressed Extra Virgin Olive Oil, Organic Fair Trade Unrefined Shea Butter, Organic Cold Pressed Unrefined Virgin Coconut Oil, Organic Cold Pressed Castor Oil. They make their soap from scratch and by hand in New Zealand. For Australian consumers, there is Viva La Body. Their entire product portfolio is palm oil free. 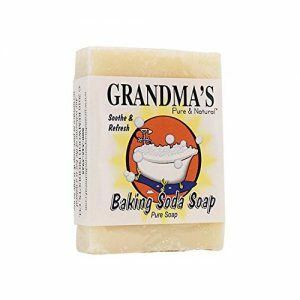 The soaps we’ve tried from the list are Grandma’s Baking Soda Soap, Kiss My Face Pure Olive Oil Soap, and Ethique’s Lime & Ginger Body Polish, Creme Bodywash Bar, and Teatree & Spearmint Foaming Bodywash. We love that these soaps get the job done without added ingredients and artificial fragrance. The Grandma’s and Kiss My Face soaps contain just three ingredients. Even though the main ingredient is olive oil, the Kiss My Face Pure Olive Oil soap doesn’t leave your skin feeling greasy or oily. None of the soaps on this list contain palm oil derived chemicals in the form of detergents and surfactants. This means they don’t make lather and foam. We don’t miss it. These bars last a long time. In addition, they retain their composure/hardness and really seem to last longer than other soaps we’ve used. Interestingly, it’s as if they wick away water and don’t leave the soap ring. 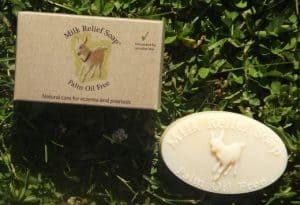 We are looking forward to trying the other palm free soaps above as well. We researched hundreds of soaps using lists with 500+ names for palm oil ingredients to find palm free bar soap. We have verified the soaps above do not contain palm oil derivatives. Kiss My Face has confirmed they make their three soaps above without palm oil and palm oil derivatives. 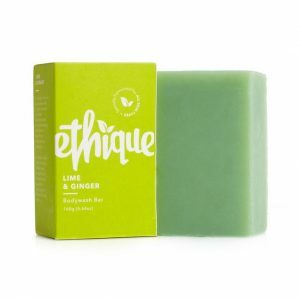 Ethique makes all of their products, including their soap, without palm oil. 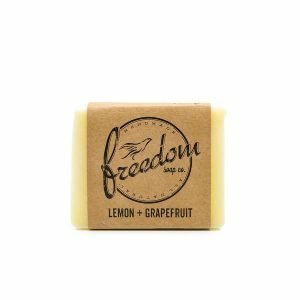 Freedom Soap Co.’s line of soap — and other products — are also palm oil free. Depending on where you live, you can find their products in stores. Booda Organics has confirmed their products as well as their soap is palm oil free. You can find their products at natural food stores, therapeutic wellness spaces, and more. Viva La Body makes all of their soaps and other products without using palm oil and related derivatives. Depending on your skin type — normal, oily, dry, acne-prone — you can find a soap without palm oil. It’s typical for soap manufacturers to use palm oil as an ingredient in soap. Why? It’s inexpensive and binds the soap together. Learn about palm oil uses. Companies use ingredients such as Sodium Laureth Sulfate, Sodium Lauryl Ether Sulfate, Ammonium Lauryl Sulfate, and Sodium Dodecyl Sulfate — all common in soap and typically made using palm oil — to create foam, lather and suds. Other common palm oil derivatives in soap include Sodium Palmate, Glycerin, or Glycerine. Many people choose to avoid palm oil for environmental reasons. In addition, some consumers avoid palm oil for health reasons. If palm oil makes you sick when you ingest it, you may want to discuss with your physician if you should avoid it in personal care products as well. Please note, we are not medical professionals. Palm oil in soap and from other topical products can be absorbed into your skin, the body’s largest organ. Palm oil is inexpensive and prevalent in soap. Soap manufacturers use it in many ways in order to save money. If the soap you are using doesn’t say palm oil, palm kernel oil, or red palm oil, it still may contain palm oil. Sodium Palmate is made using palm oil. Watch for these ingredients. They very often or always contain palm oil. Be aware even organic soaps often contain palm oil. Consumers seek out these types of trending, healthy-seeming soaps. However, when you read the ingredients, often you will find they contain palm oil and palm oil derivatives, including Sodium Palmate, Citric Acid, Tocopherols, and more. 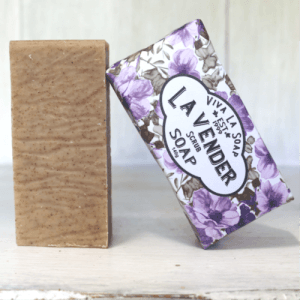 Castile soap – Read ingredients before you buy castile soap. Even leading brands contain palm oil and palm oil derivatives. Glycerin soap – If it’s not spelled out on the ingredient label, you will have to check with the manufacturer to know the source of the glycerin. You may be stunned to read the ingredients to find they are usually made with sulfates, and other ingredients, most of which are derived from palm oil. We have yet to find a liquid soap without palm oil. I am updating this post because I just returned from an Oils party. Guests could pay to make different products. I went with the sole purpose of buying a palm oil free liquid soap. The hostess instructed us to use a few drops of essential oil, Glycerin and Castile Soap. Unfortunately, I couldn’t make the soap because there was a bottle of Glycerin with no ingredients listed other than “Glycerin.” When I arrived home and researched the company, I learned their glycerin derived from palm oil. Additionally, the Castile Soap, with it’s gleaming, healthy-seeming bottle, contained multiple palm oil derivatives. Many people may want to make their own soap without palm oil. With a few soap making supplies, you can get started. Here is a website which will show you how. You can find palm free soaps which exfoliate and detoxify. Some are therapeutic and/or antibacterial. Some are unscented. There are options for acne-prone skin. You have choices, no matter what your skin type. With this list, you can find soap for your hands, face, and body… all without palm oil. If you know of other palm oil free soaps, please list them in the Comments so we can research them and include them on this list. See our current list of palm oil free products to help making find them easier. Please support these companies who make soap without palm oil. It’s always great to find palm oil free products. Please note, the information above is based on our own Internet research, reading labels, and reaching out to companies. We are always updating our posts. Please note, we are not medical professionals. Consult with your physician or health provider if you are seeking medical advice. As we find more soap without palm oil, we update this list. Always read labels as manufacturers change ingredients. Coconut, Babassu, and Murumuru are all types of palm. Also, Kiss my Face is no longer. Finally, try Chagrin Valley Soap and Salve Company. Thanks for reaching out about palm oil free soaps. We will check out those brands. 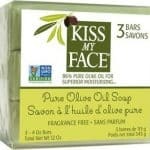 Kiss My Face offers three bar soaps without palm oil: Olive & Aloe; Olive Oil & Lavender; and Pure Olive Oil. We understand coconut and palm are in the Palm Family: Arecaceae. However, “palm oil” and palm oil derivatives are from oil palm, not coconut. The United States Department of Agriculture’s Natural Resources Conservation Service has an informative site in which you can reference Classification for Kingdom Plantae down to Family Arecaceae. From there you can view the “Palm family” and down one level to Genus and from there to Species. We understand coconut to be the Cocos nucifera L. Species. Palm oil — as we refer to it on this site — is the oil palm Species Elaeis guineensis Jacq. They are definitely “related,” and it’s interesting to learn more about it. Thanks again! Please tell me where to buy Kiss My Face Olive Oil bar soap. I can’t find it anymore, except on ebay for exorbitant prices. My favorite soap. We love Kiss My Face Olive Oil soap as well. We found it at our local health food grocery. It was less than $6 for three bars, and they last such a long time. It’s so disappointing Amazon is no longer offering them inexpensively. Thank you for taking the time to Comment about this. If you do a Google search for “Kiss My Face,” you will see a Store Locator link. You can put in your zip code to find the retailers in your area that carry their products. Unfortunately, you will have to call the stores or go in to see if they carry the soap, but it will be a start. We hope you find it easily! It’s a great palm oil free soap. Lush also claims to make many different kinds of soap with no palm oil/derivatives.